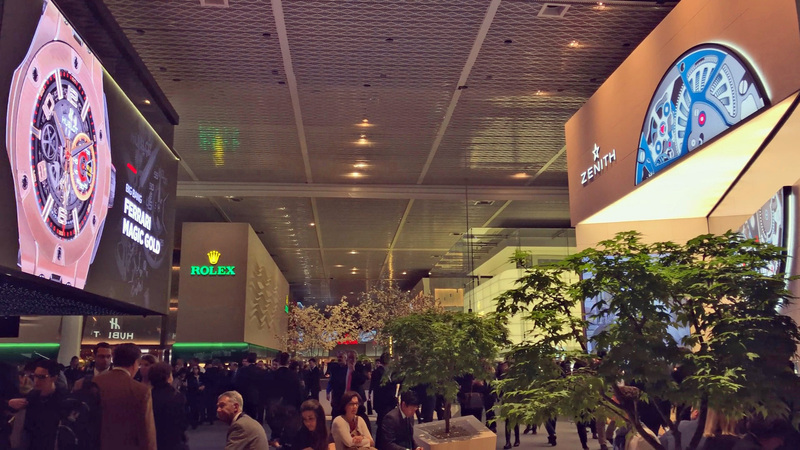 If you’ve loved the thought of visiting the world’s largest and most prestigious luxury watch show but thought it was out of reach then think again. 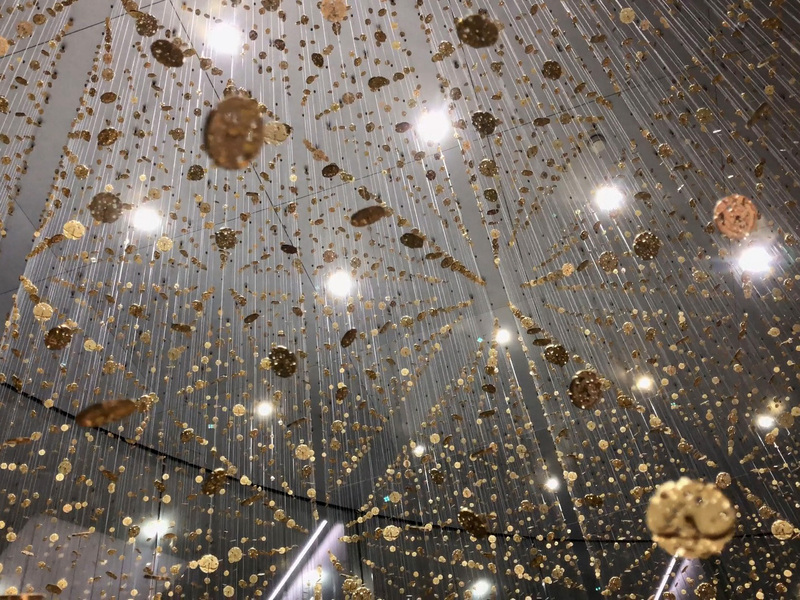 Here we show you how we made the trip from the UK to the Baselworld show in Switzerland including flights, accommodation and transport to the show and back – all for under £200! The story really begins a year ago. I’d just found out about this new hobby we call horology and had heard of the Mecca known as Baselworld. I had no idea about anything but went to the EasyJet website and looked for flights around the week of the show. £45 return. What?! I then priced the show entry – £45 (60ish Euros). So I clicked BUY on both and it was job done, my only issue was sleeping in the airport overnight which was a once in a lifetime thing and being in my 30s something I vowed never to do again as being prodded awake with an MP5 submachine gun at 4am by airport police is a pant filling experience! So fast forward a year and we’re sitting in March 2018, Baselworld is just around the corner and it’s time to decide if I’m going to do it again or give it a miss – easy choice really. This time I’m wanting an overnight stay; close to the airport, and to get a good night’s sleep – all with a £200 budget. Let’s see if it can be done! So the first thing to do is book your flights. 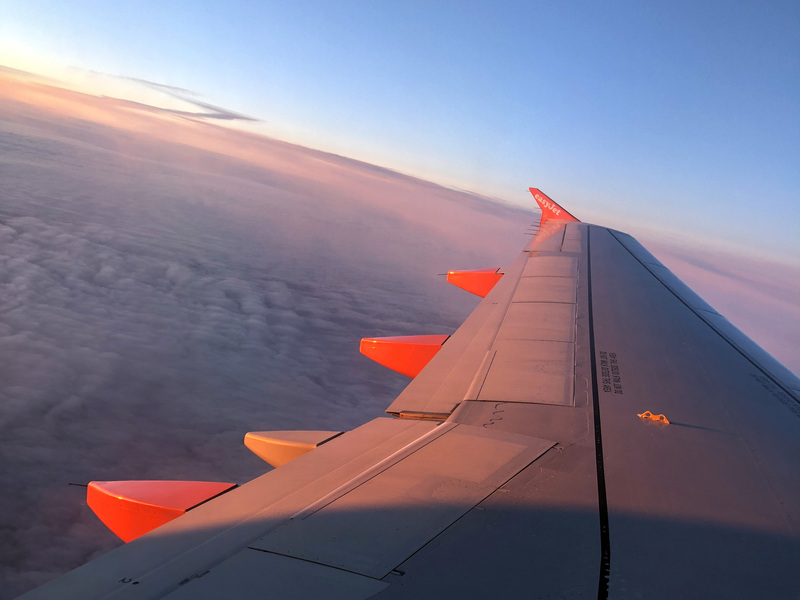 EasyJet offer a very early morning flight from Edinburgh (I’m in Glasgow so not too far away) that sets off at around 7am British time and lands less than 2 hours later in Basel itself. The return flight falls the following morning again at 7am (Basel time) and as mentioned for the princely sum of only £45 including all taxes. I’ve checked around a few different airports across the UK and the flight times and prices are all around about the same thankfully. Next up we need to get our show ticket sorted out. You can just turn up and buy your ticket at the show but booking ahead saves time and you can sort it all out from the comfort of your PC or phone at home. I’m an iPhone user so I dropped the Baselworld ticket and flights straight into my wallet – easy peasy. Though I kept a print out just in case my phone crashed, died or got lost or stolen. Entry is the same as flights, £45 for a day ticket and yes it can be tricky to cram the show into the one day / 6-hour visit, but it can be done if you are methodical and you will leave with a sense of wonder at what you’ve experienced. Now accommodation was the area I thought I was going to run into trouble with. I’d read online that the week of Baselworld, as with most major events across the world, hotels and other places bump their prices through the roof. So by pure luck, I managed to find an apartment on Booking.com that was less than 2 miles from the airport and cost only £90 a night! I’d intended on going with a friend but they had to pull out so I ended up staying in a decently large sized apartment just across the border inside France (Basel sits on the very edge of Switzerland) with 2 bedrooms and 4 beds. 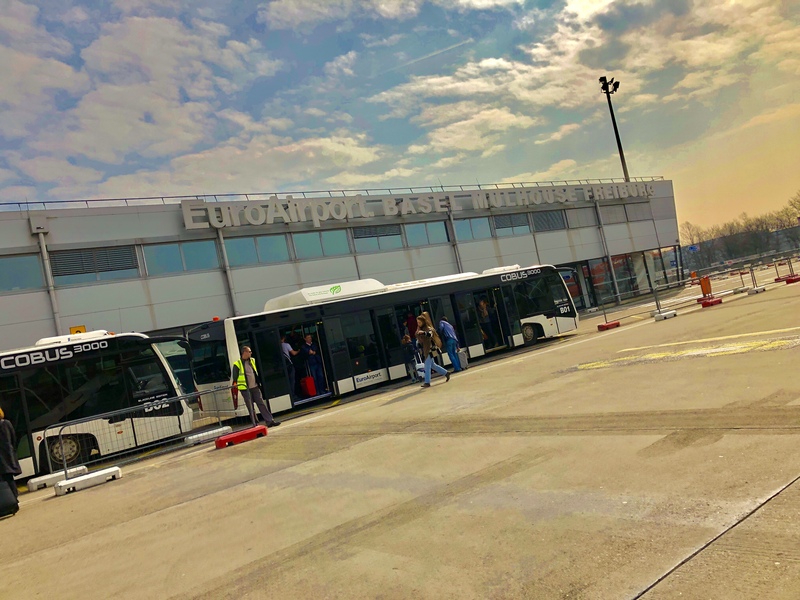 It’s within walking distance of the airport taking roughly 45 minutes or thereabouts, so you can either do that or opt for an Uber which will cost you around 9 Euros depending on the driver. I decided to drive from home to the airport in the morning instead of a taxi or blagging a lift, so after searching online I found overnight parking for £15 at Edinburgh airport with a free shuttle bus that picks you up from your parking space and drops you outside the main terminal door in less than 2 minutes. The return leg is identical, being picked up right outside the same arrivals/departures door. This would technically push our £200 budget but it isn’t necessary if you stay closer to the airport, are getting a lift or decide to get some fresh air in your lungs – so we’ll allow it. 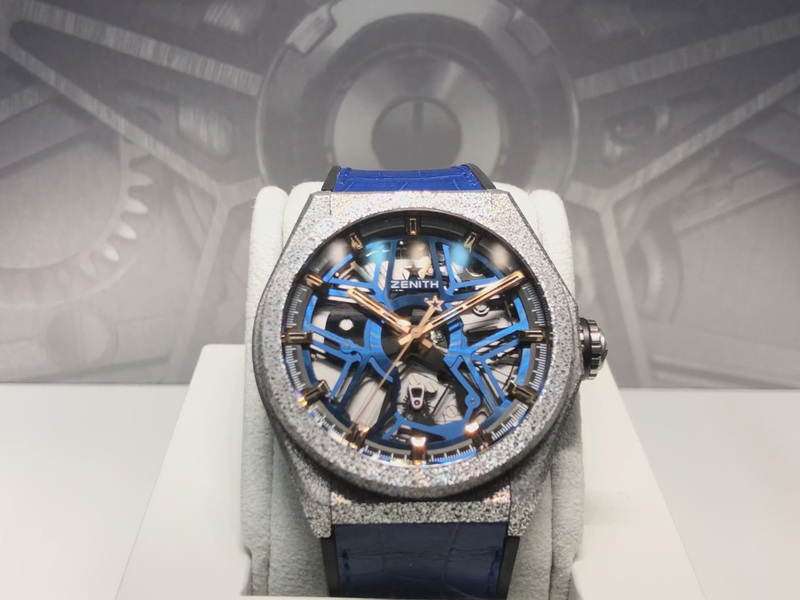 Baselworld this year was amazing – yes it was slightly smaller in duration and down some vendors compared to last year but that did not affect the show at all, and any of the armchair YouTubers who passed comment without attending should get off their asses and go – maybe then attendance figures would actually rise! I’d only been once before and even though your first time at anything is always the best, returning, especially just one year later, you will expect to see 80%+ of the same things with new releases added in and some changes here and there. That didn’t bother me in the slightest as last year I was only a couple of months into the hobby and had no clue really what I was looking at, who these strangely named manufacturers were or how anything really worked. This time around I was well versed and could appreciate everything on a much higher level. Everyone and their dog has already blogged, vlogged and chatted about the releases so I won’t bore you with all the intricate details but I’ll just cover the things I saw, liked and disliked quickly. The new steel Rolex Pepsi (GMT Master II 126710BLRO) on the new jubilee didn’t really impress me. It looks almost identical to the previous white gold edition, but on a different bracelet. Due to the process Rolex use to make their ceramic inserts (taking a red piece and treating part of it to turn blue) you end up with a pink and purple appearance compared to actual blue and red on the old aluminium bezel inserts. In fact Hublot took some digs at the coronet by exclaiming they had finally cracked how to produce a radiant red ceramic this year after 5 years of development. Even if the steel BLRO was red and blue, I prefer the look of the Batman BLNR and the jubilee doesn’t do anything for me. Zenith was the makers who impressed me most. I had the pleasure of attending the launch party for the Defy Lab at ROX Jewellers in Glasgow last year and got to try on the piece (big thanks to Ross for that) plus got to listen to and meet Jean Claude Biver after he explained the ethos behind the watch, the reinvigorated brand and the future of traditional watchmaking (have a listen to his talk here – https://www.youtube.com/watch?v=E2qN5EjRNXs). 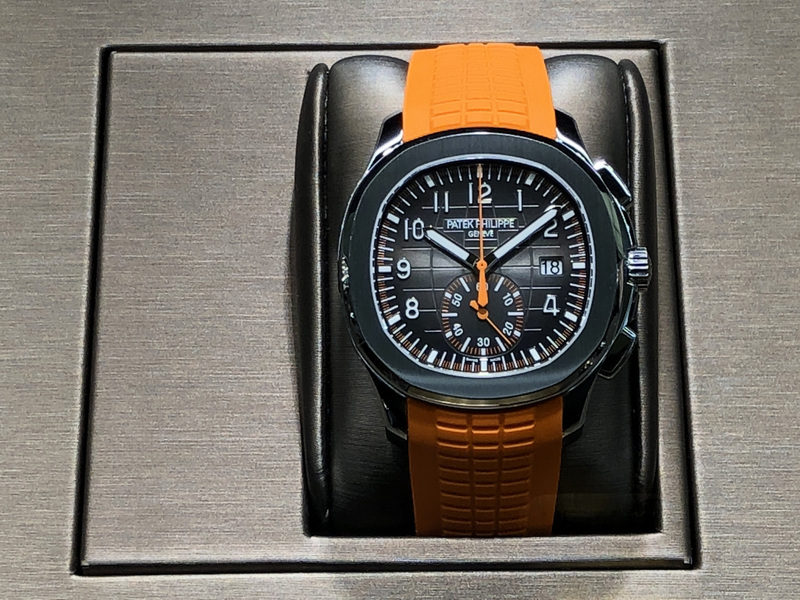 The full range of watches were on display and they just clicked with my sci-fi loving mind so I can’t wait for the releases to trickle down to dealers so I can see them all and try them on. Citizen had a massive, auditorium style display that hasn’t really been covered anywhere from what I can tell. It had thousands and thousands of watch movements all perfectly spaced and hanging from the roofline with subtle ambient sounds playing and different lights shining through causing a mesmerizing effect. Of all the booths, watches and demonstrations I saw – this was the thing that impressed me the most – and was also the part that had everyone nearby pulling their phones out to record photos and video. 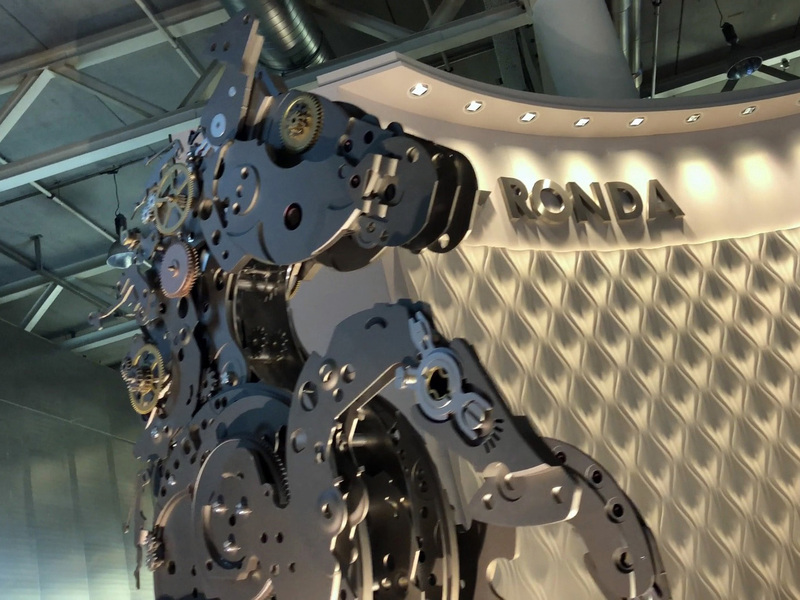 Be sure to watch our short Baselworld 2018 video to see for yourself. Omega released 14 thousand different models this year as you would expect but pick of the litter for myself were the black and yellow Apollo 8 Dark Side of The Moon and the new ceramic wave dialled SeaMaster 300. 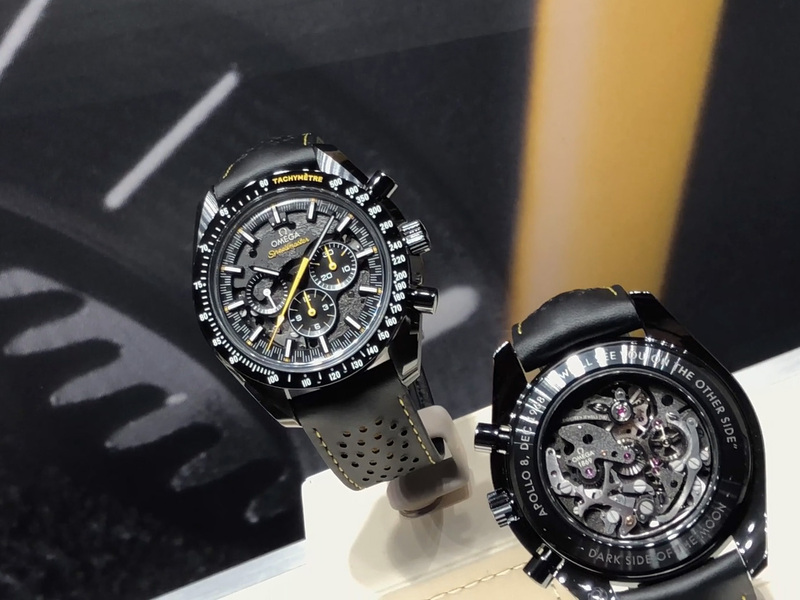 I’m not an Omega owner yet but I really liked both offerings so will have to visit my local boutique after their officially launch later this year to see how they are in person. 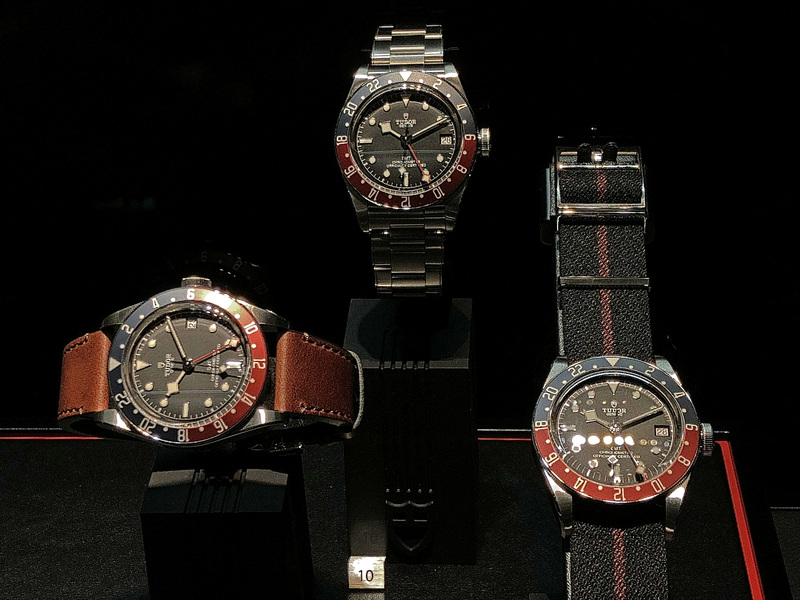 Tudor were playing “me too” with their new GMT launch but the display case and booth they use to showcase their wares is terrible. 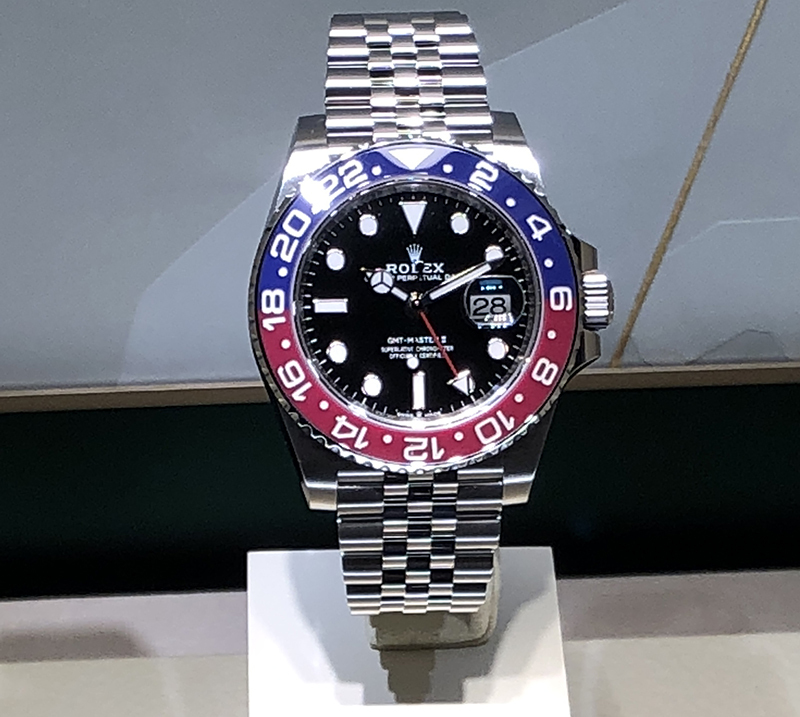 I’ve seen used watch stores with better presentations so I don’t know if it was the bad lighting and display or the actual watches, but they did not impress looks wise especially compared to the bigger, bolder Rolex. Think skinny Steve vs Captain America. Hublot have a display stand close to the entrance but they showcase their watches in a weird and annoying rotating case which randomly pulls the watch away from view when you get close to see them. 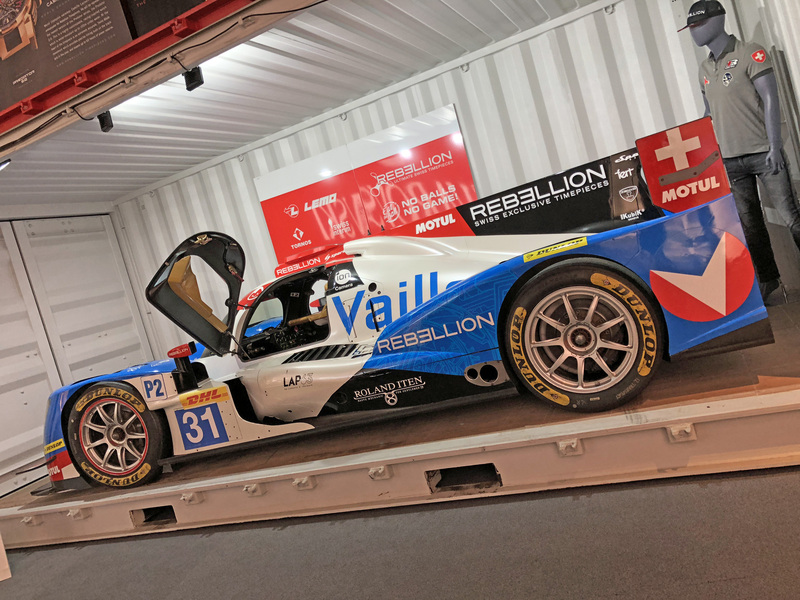 I didn’t get a chance to see the new all-red ceramic but they did have some other interesting pieces on show as you would expect. 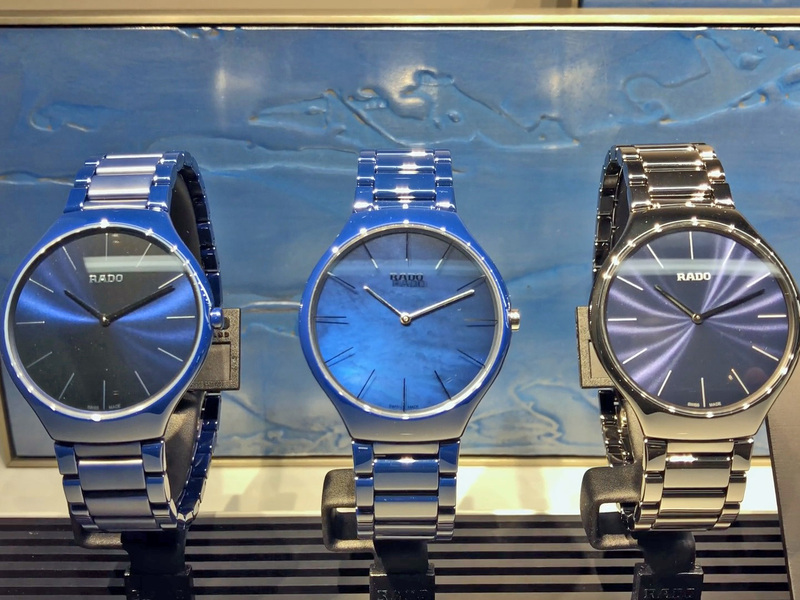 Rado is a maker that doesn’t really get a lot of love and I’m not sure why. I loved looking over their releases and the prices seem very reasonable too for ceramic, Swiss made watches. 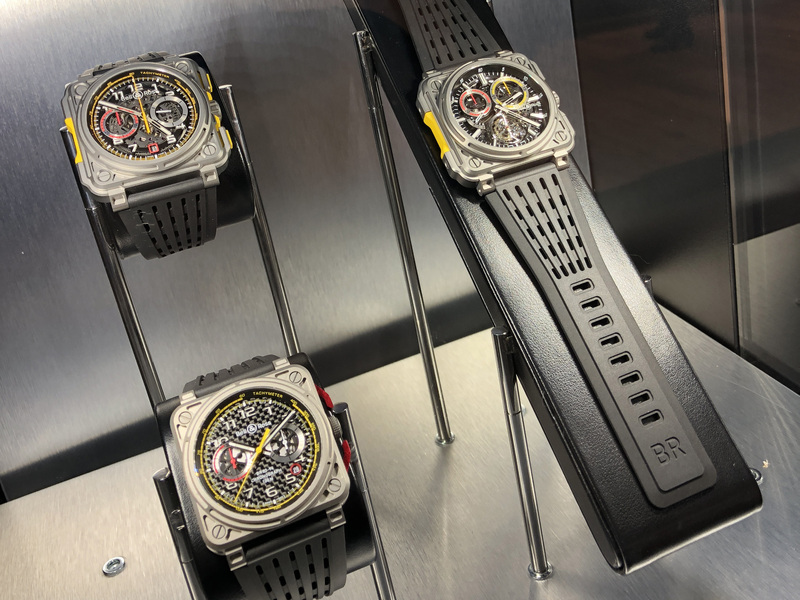 It’s just a shame that retailers here in the UK for the most part only seem to stock their entry-level pieces and focus more on the ladies ranges rather than the broad spectrum of higher end watches they bring out every year at Basel. So in closing, if you have a passion for watches – no matter if it’s £200 Seiko 5s or £100k MB&Fs, then you owe it to yourself to visit Baselworld. If you want to go in a suit or turn up in jeans and trainers (as I always do) it doesn’t matter, no-one judges you on the clothes you wear or the watch on your wrist – unlike some British dealers – and everyone you meet is amazingly friendly. In fact the only gotcha is the price of food and drink in and around the show. 6 Euros for a small bottle of Coke Zero is just a bit Richard Mille. So do yourself a favour, book a couple of days holiday from work and for less than £200 you can soak in everything the wonderful world of horology has to offer. See you next year!